How can Casper go beyond mattresses to become a knowledgable authority in the sleep category? 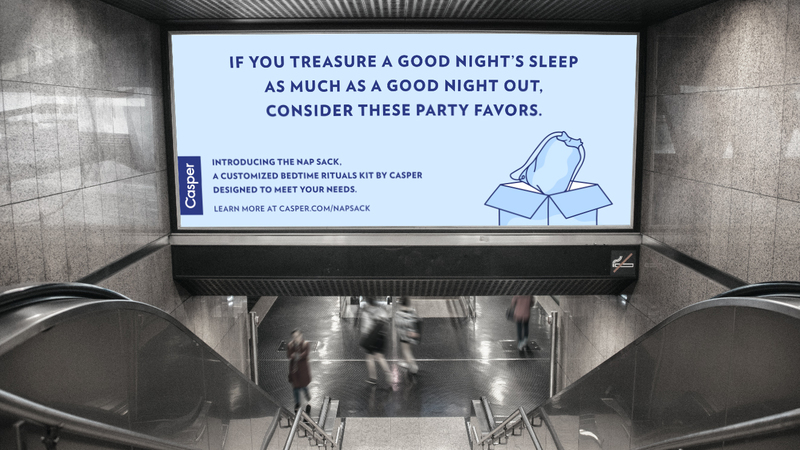 Casper can own the period of time before going to bed, creating brand loyalty through bedtime rituals. Empower people to discover their sleep ritual via personalized subscription boxes and sleep-inducing digital content. Rituals are symbolic acts that can mark a moment of transition (like wearing a mortarboard at graduation) or impose order on the chaos of nature (like lighting fireworks to mark the arbitrary "beginning" of a year). Like societal rituals, brands can create cultural rituals to earn loyalty with customers. Kit-Kat bars taste the same no matter when they're eaten, but The Hershey Company created a ritual around eating it while on break. Likewise, the Pumpkin Spice Latte has an inseparable association with the beginning of autumn. Sleep has a defined time and place, so how can Casper create ritual in that space? Most of us had a consistent sleep routine as a kid. We took a bath, put on our pajamas, or read a bedtime story. But as adults, our routine tends to fall by the wayside. Even though scientific evidence is abundantly clear that establishing a bedtime routine is good for us, we've forgotten how to do it. Casper already makes the best mattress, but focusing on what people do before getting into bed will allow Casper to compete more broadly in the sleep category. Out of home ads reach customers where they're likely to already be thinking about their daily schedule or routine. They are driven to the website, where they take a detailed quiz to personalize their Nap Sack based on their own sleep habits. 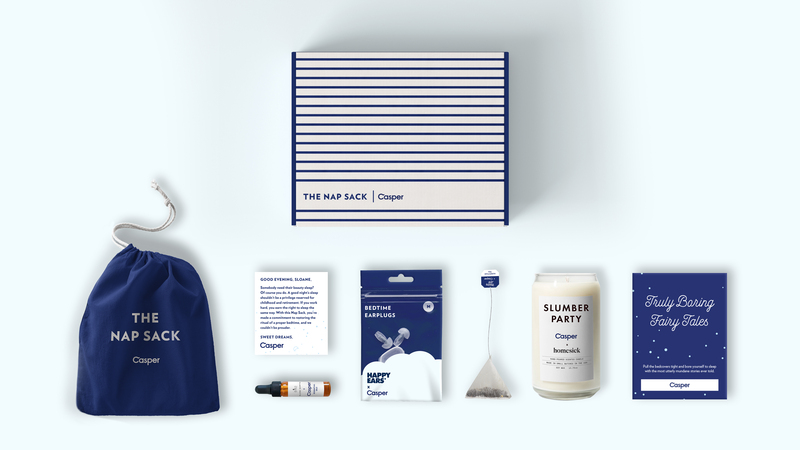 The Nap Sack is a monthly kit of curated products personalized via the customer's sleep quiz results. Casper co-brands well-known products to be seen as a knowledgable authority on sleep. Each month, new sleep-inducing content debuts on Netflix. Casper gains loyalty with customers who've already bought mattresses. 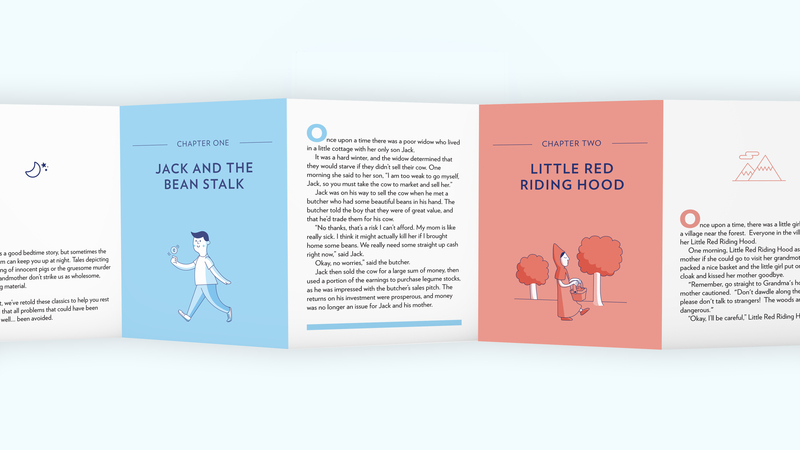 To keep with Casper's light-hearted tone, a share-worthy book of Truly Boring Fairy Tales is included in each box. We gave copies of our book to Casper, who used our idea in a video campaign (below). Casper liked our ideas so much, they combined our concepts for S'News and Truly Boring Fairy Tales into a Casper sleep channel just a few months later. 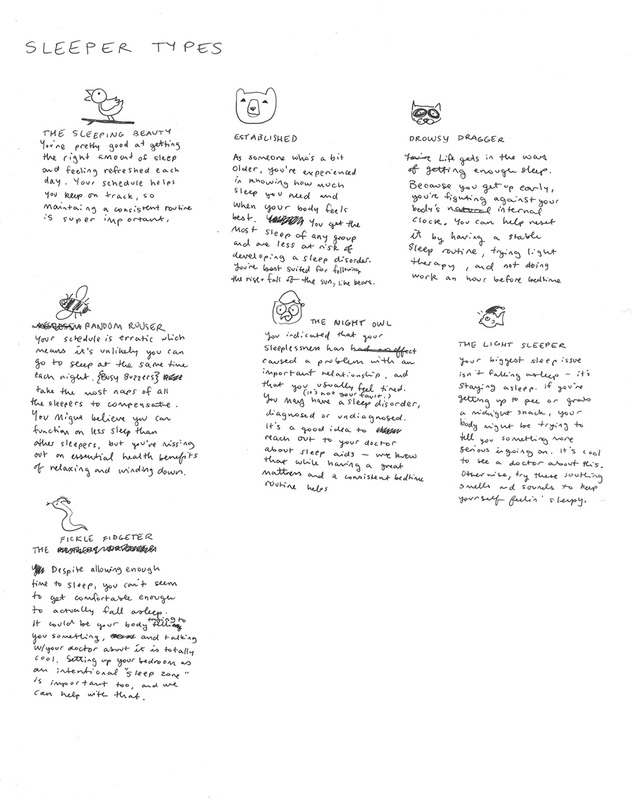 They used our versions of Jack and the Beanstalk, Little Red Riding Hood, and the Three Little Pigs, and while they expanded the stories to be even more boring, they used a lot of our copywriter's lines verbatim. It is extremely boring, as you'd expect. You've been warned. "The Truly Boring Fairy Tales you presented were the perfect addition to this series." Users answer detailed questions about their habits, work/life balance, and sleep preferences. Questions are presented one at a time so they don't appear overwhelming. 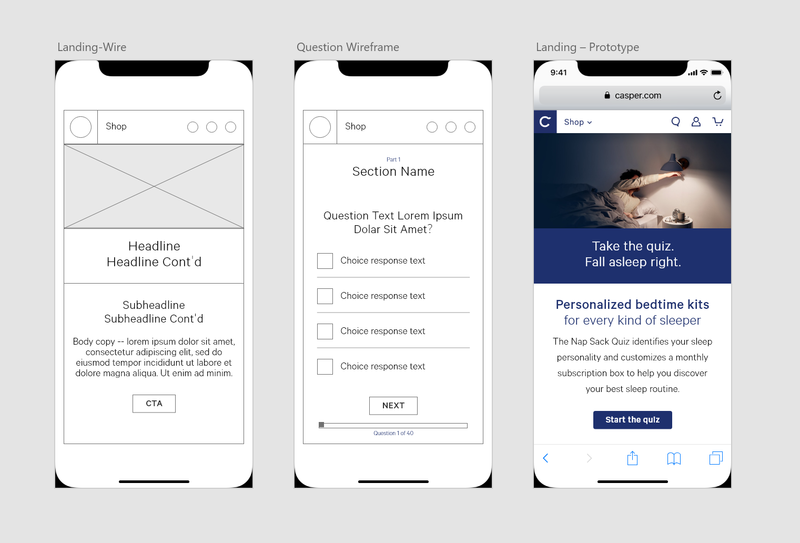 The first question is presented right on the landing page to give users the impression that they're already making progress, and to demonstrate how easy the questions will be to answer. Reaffirming details peppered along the way show that Casper is non-judgmental about their sleep habits, and makes users feel like part of a live community. The copywriting tone is kept light-hearted and easy to read to keep users engaged. The quiz identifies the user's sleep personality via playful personalities that lean more "Buzzfeed quiz" than "medical advice." Adorable illustrations in Casper's signature style make results memorable and shareable on social media. The tone reinforces the fact that there's no "right way" to sleep -- everyone is different. Show people they're not alone by peppering in survey results and customer quotes. Casper isn't qualified to give medical advice, so find ways to instill trust in a light-hearted and fun way. 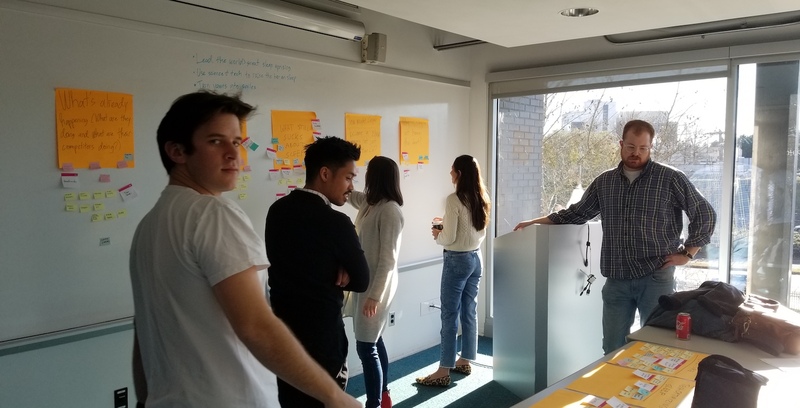 Because all of this work was done during a four-day sprint, there wasn't a lot of time or need for designing high-fidelity service blueprints. This customer journey is a succinct overview of how the Nap Sack works with the sleep channel to attract and retain customers. Despite what many people think, humans aren't great multitaskers. By limiting the quiz to only one question per page and using plenty of white space, users can focus on the task at hand. Users should be able to start and stop at any time. We never hide menus or use annoying popups to block people from leaving. Guide users down a defined path but allow them to control over the pace by exposing their progress bar. 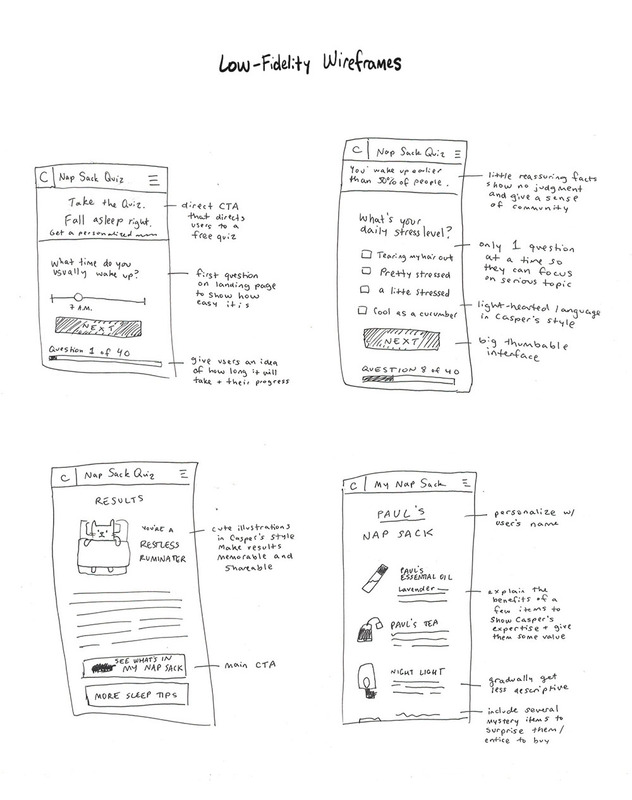 These medium-fidelity wireframes helped me and Zak, my fellow experience designer on this project, figure out the best UX writing for the no-judgement sleep quiz. This four-day sprint was brought to you by lots of coffee and sticky notes.